A new bio-manufacturing process which uses biodegradable glycerol and hopes to “nudge fossil fuel-based chemicals and plastics out of the market” has been developed by Queensland-based Leaf Resources. Leaf Resources uses glycerol as a catalyst to make cellulosic sugars for bio-manufacturing of plastics and chemicals. The company says its Glycell process uses glycerol as a catalyst to make cellulosic sugars — the key component in bio-chemicals and bio-plastics — from biomass such as waste from agriculture. The cost involved is a fraction of that for technologies currently used as alternatives to fossil fuel-based industry processes, it adds. The G7 group of industrialised nations has announced its commitment to stop the use of fossil fuels worldwide by the end of the century and many multinationals are already embedding sustainable practises into their operations, Leaf Resources points out. "For example, Danone is developing partnerships with second and third generation bio-plastics manufacturers," it says, "and Coca Cola is increasing its use of bio-plastics as part of its work to completely eliminate using non-renewable fossil fuels in its plastic bottles." 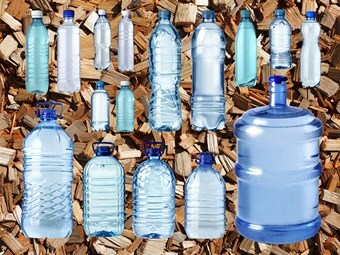 However, current techniques used to create cellulosic sugars for conversion to products like bio-plastics are not as cost-effective as fossil-fuel-based processes. "The best contender so far has been the dilute acid process which uses acid, high pressure and heat to produce cellulosic sugars from agricultural waste," Leaf Resources says. "The dilute acid process takes 48 hours to produce cellulosic sugars, produces inferior quality sugars and at current market rates, costs $230 per tonne. Glycell, on the other hand, produces larger quantities of better quality sugars at a much faster rate for less than a quarter of the price — $47 per tonne, the company says. Because glycerol displaces water it enables the chemical balance needed to produce quality cellulosic sugars at low temperature and pressure. This does away with more complex and costly processes that require high temperatures and pressures. "The Glycell process has another advantage in that it doesn’t use food as its feedstock," Leaf Resources says. "The biomass used is predominantly waste — everything from crop stalks and stubble to hardwood offcuts — and its supply is almost limitless. "There is currently five billion tonnes of biomass available worldwide, enough for $750 billion worth of cellulosic sugars. At present, the waste used in the Glycell process can be a liability for the agricultural industries that generate it. Many, such as grain or rice producers may have to pay for its disposal." Even the glycerol catalyst itself is biodegradable waste from bio-diesel production, the company points out, while another quirk of the Glycell process is glycerol purification and repurposing. "Bio-diesel waste is 80 per cent glycerol," it says. "After use in the Glycell process and recovery it is 99.7 per cent pure, meaning it can be sold at a higher price for more refined industrial requirements."